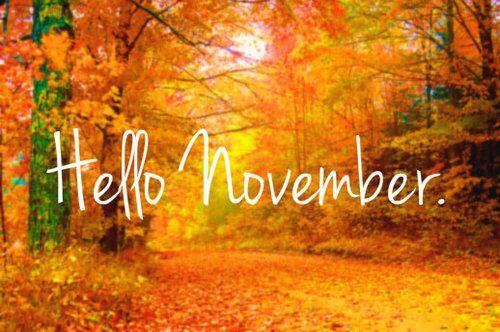 Welcome to November! We hope everyone had a Happy Halloween and Happy Early Thanksgiving! Thank you for allowing us to stay in touch with you! Are there big events in your lives that you would like to share with us – weddings, anniversaries, new additions to your families? We would love to hear what is going on with you – please let us know! Click here to read our latest real estate newsletter: Your LuxuryMovers Newsletter!!! Jen had a fun Halloween with her family and friends handing out candy and trick or treating. Jen’s oldest was a black cat for the second year in a row and Jen’s youngest was a TACO…it took a full month for Jen and family to make the costume. Other than enjoying the awesome fall weather, Jen has been enjoying watching her children play soccer. Also, she is reading a good book called “The Art of Racing In The Rain” that her sister-inlaw, Erin, gave her…it is a good read thus far! Jason had a great October with a lot of things happening! Outside of his normal teaching and still trying to hang on the soccer field, he finished up renovations on an investment home he recently purchased. He has also started some renovations on his current house that he plans on selling next month. Most exciting, Samantha and Jason are finishing up plans on their new house they are building on the outskirts of downtown and Jason will finally get the garage he has wanted for so long. And, as always, he’s holding on to hope that his beloved Redskins make the playoffs! October seemed to go by in a flash for Sharon and her family this month. Ryan was occupied with his Techie responsbiliities at the Fall Theatre production at Enloe and Sam has been super busy with competition season with the Enloe HS Marching band. Both of his grandparents came into town to see him compete at the Capital City Cup Expo at Sanderson High School and they also enjoyed a visit from their old family fried Deb from Asheville. This is Sam’s last season with marching band as he looks towards graduation in the spring. Sharon and Ryan went to see “Rent” at DPAC, which was a blast!! Erika’s family had two October birthdays. Morgan turned 22 up in Boone on the 24th, and Marlayna turned 17 on the 27th. Jesse’s ship, the Port Royal, is still in the Red Sea. The whole family is uneasy about the current conditions there. Macy arrived home from New Jersey. She has mixed feelings – glad to be home with family, but misses her equestrian family up north. Perry has decided to put off enlisting in the navy for a bit. The unrest his brother is experiencing first hand may have something to do with that! Kathleen enjoyed a vacation in the mountains this month. Time was spent with good friends and family, taking in the views, riding off road trails in their Jeeps and relaxing by the fire. Kathleen also got to take in a Broadway show at the DPAC and is already planning the next one. She is hoping to catch the tail end of the fall color when retuning to the mountains to take in a college football game in a few weeks. Your LuxuryMovers gave back to…American Red Cross, Alzheimer’s, Rand Road Elementary, Railhawks, Enloe Marching Band, Hurricane Matthew relief, and YAKS soccer club. Did you know? Money Magazine Rates Raleigh as the Best Big City to Live In in the Southeast. The magazine said it went looking for “a rich trove of culture, dynamic street life, maybe even a little bit of grit” in cities with a population of 300,000. And they ended up with Raleigh, right up there with No. 1, Boston in the Northeast. Exciting news! Your LuxuryMovers Team was given another “Redfin Rockstar” award, the second in a row, as our team was tied for the most closings for September in the United States! Thank you to our buyers!